I'm a big fan of gastronomy superheroes, Jelly & Gin, who have a seriously good track record of taking audiences on amazing artistic food adventures. They've just announced their latest project, Watch & Wolf, and it looks like so much fun! Watch & Wolf is cinema like you've never tasted before, as Jelly & Gin take over the National Gallery of Scotland (you know, the beautiful massive one on Princes St) for a series of multi-sensory film experiences. And because it's Christmas, they've picked festive classics (Elf - CHRISTMAS! Gremlins - Christmas! The Wizard of Oz - er not that festive, but still amazing!) that you watch, while eating and drinking along with the characters. On arrival, you'll receive a box which holds numbered packages of bite-sized food and cocktails. 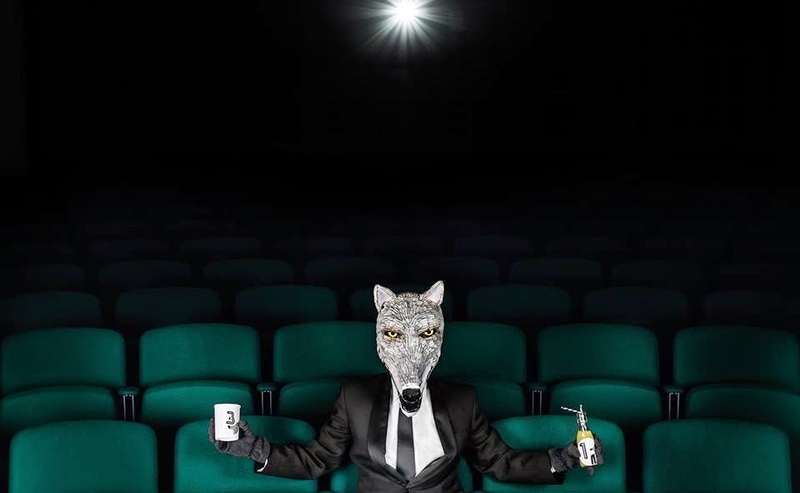 The event host, Mr Wolf, will signal at specific moments in the film for you to eat and drink your treats - it sounds seriously tasty, and if anyone's going to excel at tiny movie treats, it's Jelly & Gin! Watch & Wolf takes place at 7.30pm on the following dates in the National Gallery of Scotland (which is in Edinburgh, if you haven't guessed!). Tickets cost £28 and are available at www.jellyandgin.eventbrite.co.uk. This sounds amazing, the Gremlins will be really funny! I don't think I've actually ever watched Gremlins properly, it looks ace!